The New York Times has a great visualization of major Winter Olympic Games in the middle of Manhattan. 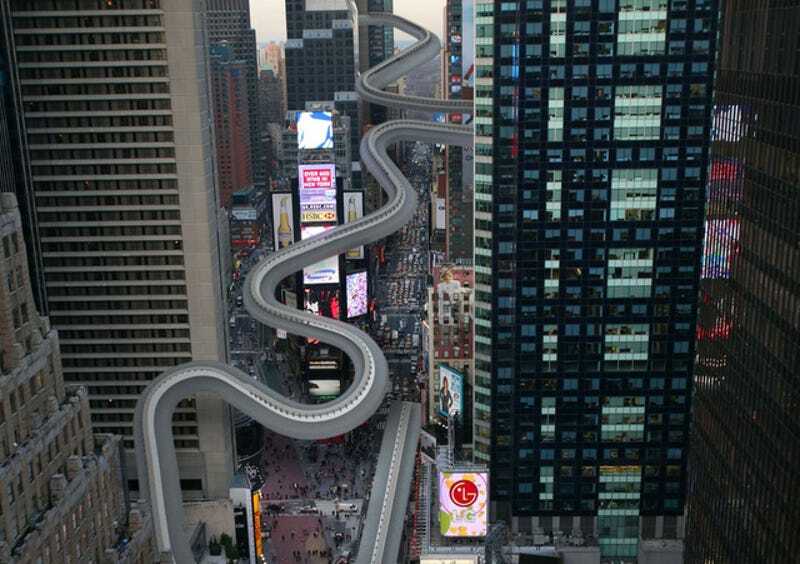 This vision of Sochi's bobsled course in the middle of Times Square is so good. The alpine track in central park is amazing too—and there's more.Check them all here.